In 1982 Allan McCollum began his Perpetual Photo series by photographing his television screen whenever he spotted a framed picture within the scene. He then photographically isolated and enlarged the prop picture, in the process producing an abstract photograph. 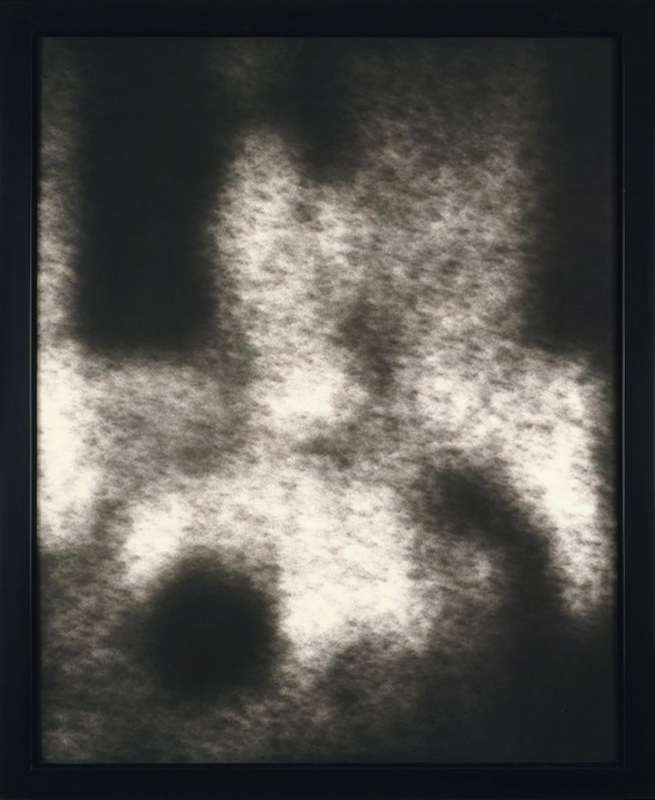 The initial negative used to make each photograph is taped to the back of each framed piece, thereby restricting the propagation of the image intrinsic to the televisual and photographic mediums. "Perpetual Photo." Take It or Leave It: Institution, Image, Ideology Digital Archive. Los Angeles: Hammer Museum, 2017. https://​hammer.ucla.edu/​take-it-or-leave-it/​art/​perpetual-photo-4147/​.